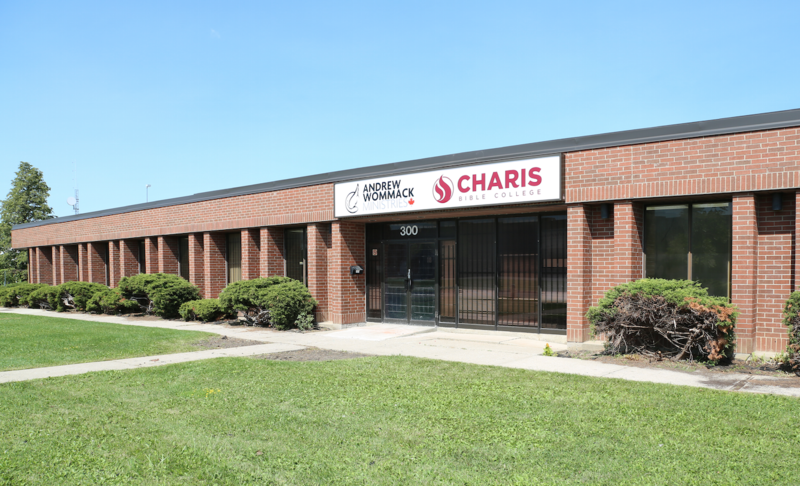 God has been so good to us in providing AWM/Charis Canada with a place to call home - a place from which we can multiply our efforts to share the good news of God's unconditional love and grace. This is a new and exciting season of growth. Since acquiring our new building in June, extensive renovations have been taking place from offices to classrooms, from a sound room to a chapel, and from washrooms to lunch rooms. If you visited us on site a week ago, you would have seen electric cabling being rewired, ceiling boards added, new floor tiles and carpeting being installed, and a painter around just about every corner! Andrew's vision of reaching as far and deep with the Gospel as possible is a vision that is being fulfilled in part here in Canada. He is excited about our building and the impact we will be able to have as a result! It is time for us to take another step in faith on the water. The renovations and necessary equipment to operate our AWM Canada Departments, Canadian Helpline, and Charis Toronto campus will cost us $275,000 CAD. We know it is God's will and timing for us to expand in Canada. His provision so far has been such an encouragement and confirmation to continue with the work. If you would like to partner with us and Andrew in completing the renovations of our new building, please join us at awmc.ca/donate or call our Canadian Helpline: 647-348-2220. Any donation amount would help us complete the renovations of our new building to be ready in time for our students who will be starting classes in September.